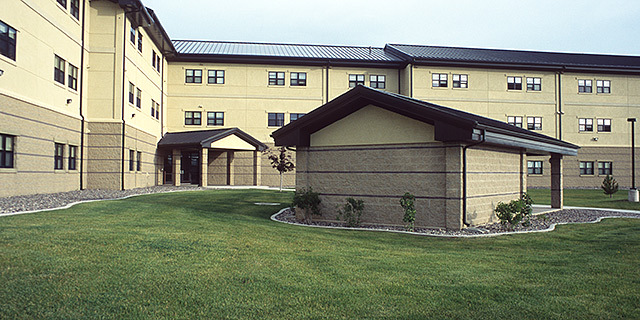 Ancillary structures should be generally limited to Group 1 facilities; minimize the use of these secondary structures. 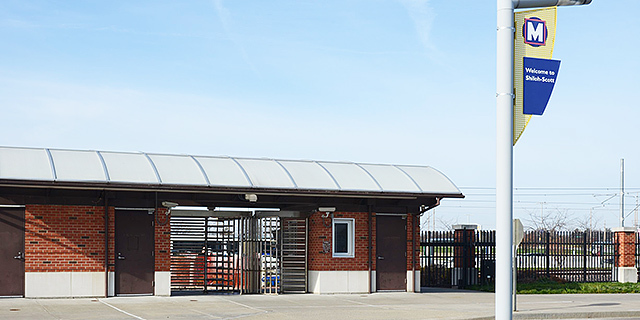 When these structures are required, ensure they are architecturally compatible with adjacent facilities. 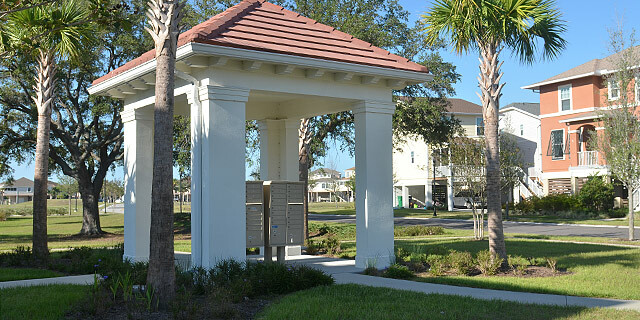 Organize buildings and activities to minimize the need for ancillary structures. 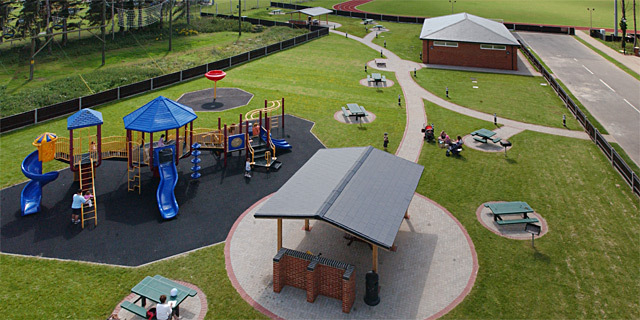 Compatibly integrate required ancillary structures with the facilities they support. Avoid visual clutter when siting these facilities. 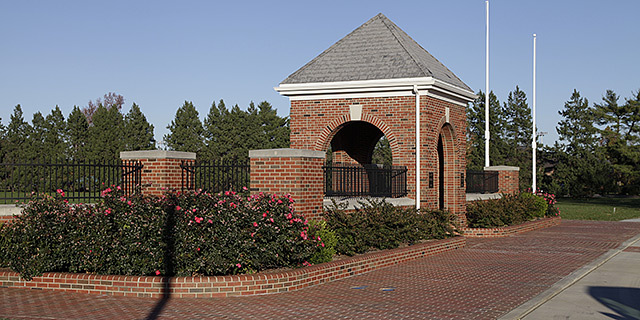 Commercially available standard designs are preferred for repetitive structures; custom designs may be used for limited stand-alone special-function structures. 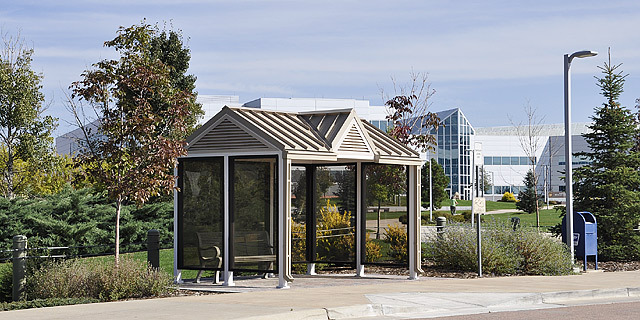 Follow Installation Facilities Standards (IFS) in the design of all ancillary structures including pavilions, bus shelters, bike shelters and shade shelters. 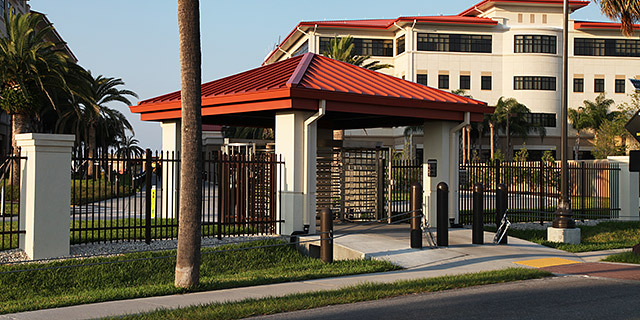 Reinforce a facility hierarchy by designating a Facility Group number from the following section and provide appropriate architectural features, materials and detail for each group. Organize facilities into Groups 1, 2, 3 or 4. Materials and finishes in Group 1 facilities may be of higher visual quality than those in Group 2 facilities. 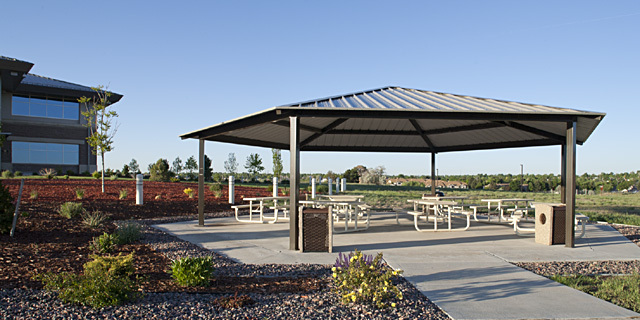 Generally maintain higher durability in Group 3 facilities that are industrial in nature. Group 4 (family housing) systems, materials and finishes must respond to their residential use. Relate durability of materials and refinement of detailing to a building’s type, operations and prominence on an installation. 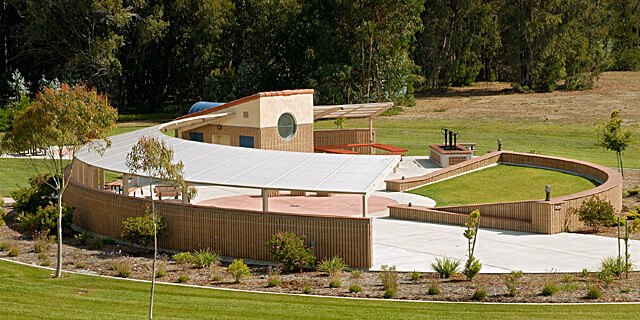 Design facilities to withstand their operations and to allow for multiple adaptations in use over time. Non-appropriated Fund (NAF) projects must comply with AFI 32-1022 and AFI 34-205.